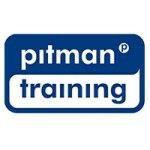 Legal Secretary - Company Law in Ireland is course run by Pitman Training Centre (Swords), Dublin. It is a 'Blended - Mix of Classroom & Online' course with a duration of Full and part-time options available - flexible training. Legal Secretary - Company Law in Ireland gives a Course Qualification of Certificate, awarded by Pitman. For more information about Legal Secretary - Company Law in Ireland at Pitman Training Centre (Swords), please review the details below. The Legal Secretary - Company Law in Ireland course at Pitman Training Centre (Swords) is listed in Courses.ie's national courses finder.